Body mounting pad. 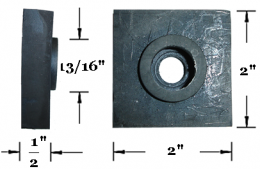 2" square with metal core. Replaces original GM part #1325095. Use as required on most models. Sold individually. MADE IN THE USA.